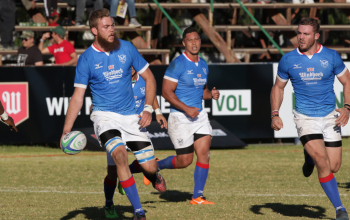 Namibia beat host Morocco 63-07 at the COC Stadium in Casablanca on Saturday 30 June to make it three wins from as many games to shoot to the 15 points mark in the six-team Africa Gold Cup competition that also doubles up as a 2019 World Cup qualifier. 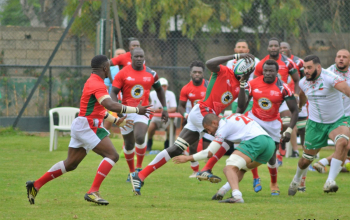 Namibia went to the game with two straight wins; 55-06 over Uganda and a 118-0 blitzkrieg of Tunisia last weekend. 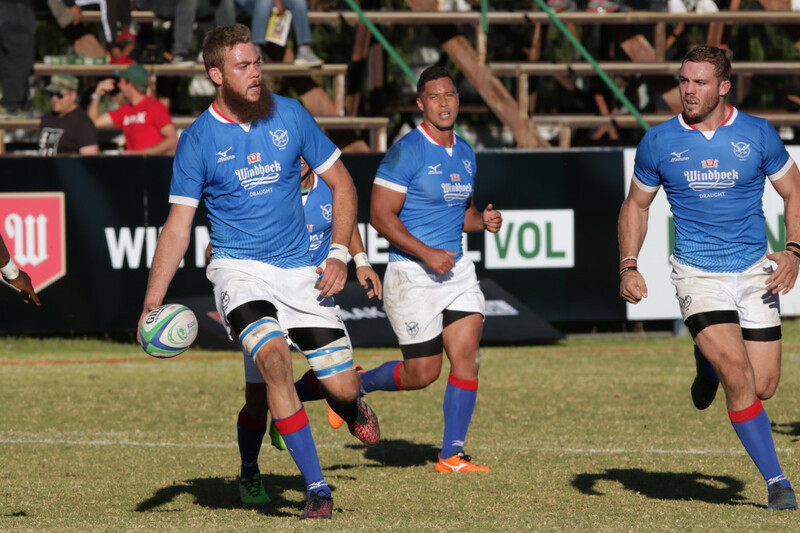 It didn’t take long for Namibia to take control of the game as, after seven minutes, Johannes Coetzee opened the scoreboard with a try, forcing his way inside Morocco’s defense. Cliven Lousber converted successfully. Three minutes later, Vice-captain Pieter-Jan Van Lill doubled the lead with an impressive breakthrough before grounding the ball between the posts. He was then imitated by one of Namibia’s best men on the pitch, Janco Venter. The game was one-sided and the teams went back to their changing rooms with the visitors leading 35-0. After the half-time break, Morocco looked more decided to take them on. With a more compact defence, Hocine Arabat’s teammates closed ranks and scored with a try from Karim Qadiri, surprising the slow Namibian defence. Unfortunately for Morocco, Bilal Dikhal was sent off after a bad foul in the second half. The Atlas Lions never found the resources to move beyond while Cliven Louber and Janco Venter both went on to score for the seven-times African champions. The game finished with a round of applause from the fans to encourage Morocco and, of course, to salute Namibia for a great performance. Nicolas Pompigne-Mognard, Founder and CEO of APO Group , the main Official Partner of Rugby Africa, said: "In spite of a final score largely in favour of Namibia, both teams played well today in Casablanca. Of course, I salute Namibia's third victory in a row, which puts them at the top of the 2018 Rugby Africa Gold Cup standings, and I congratulate the Moroccans who scored the first try of this tournament against the defending champions." Next week, Tunisia is hosting Zimbabwe, while Kenya takes on Uganda. For Morocco, the final two games will both be away. First, against Uganda on 11 August, then against Tunisia on 18 August. Namibia, on the other hand, is playing away at Zimbabwe (4 August), before hosting Kenya on 18 August.